Released in 1994, ‘Give Out But Don’t Give Up’ was symptomatic of this. It stands as a fine album with a rootsy rhythm and blues sound, but it sits strangely next to the records that bookend it: the psychedelic ‘Screamadelica’ and the krautrock-dub mashup ‘Vanishing Point’. Furthermore, ‘Give Out...’ was a commercial success but a critical flop. 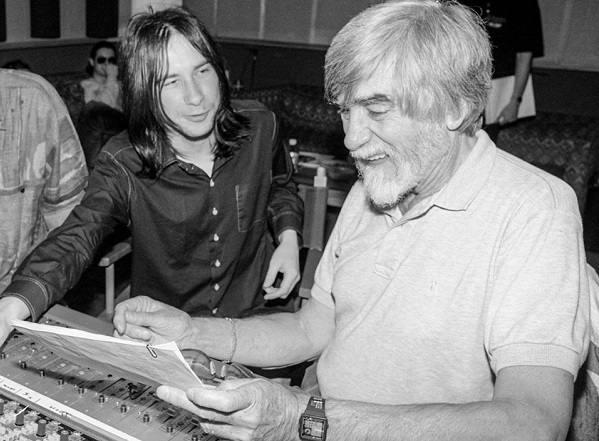 Longtime fans saw its Rolling Stones/U2 pomposity as representative of the ego of frontman Bobby Gillespie, but 24 years on the appropriation of gospel and blues elements on the record is perhaps more problematic. It feels like the work of helicopter dilettantes who want to grab every profitable African American musical trope they can before flying back to London. As such, the release of ‘The Original Memphis Recordings’ is an opportunity to get to grips with the record without the affectations of the ‘90s indie production. 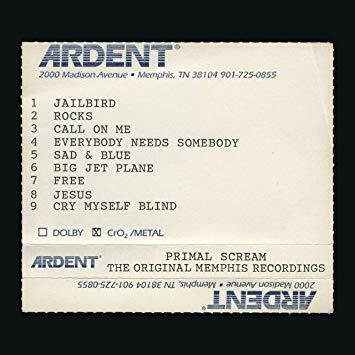 Stemming from 1993 sessions at Ardent Studios with producer Tom Dowd and the Muscle Shoals rhythm section, it’s an interesting listen because it demonstrates Primal Scream’s basic musicianship - often superb and sometimes poor. A good example of the former is the oft-overlooked anthem Call on Me. A chugging party tune arranged with real verve and precision, its horns, riffs and backing vocals all interlock superbly and Gillespie’s performance also benefits from its pared back recording. The production on the 1994 record overloaded the guitar, making it plod with a T-Rex-esque smashyness, but here we’re in territory more reminiscent of the Stones on ‘Exile on Main Street’, and it has a delicacy - if not quite integrity - that improves it. Similarly, Rocks is arranged differently. The original placed the snare on the downbeat, giving it a Motown stomp somewhere between Paul Weller’s heavy soul sound and Status Quo. Here we’re presented with a phaser-led guitar and a more straight rock beat in keeping with live performances. As a recording, it’s a little less distinctive, but the groove gives it more swagger and joy. The challenge is the poorly sung backing vocals on the chorus. They have always been slightly flat, but this recording reveals this a little too keenly - you have to train yourself not to hear them. These limitations are there to see. The inclusion of an improvised jam, Memphis Groove, is clearly designed to give the album a greater live atmosphere, but it is terrible music. 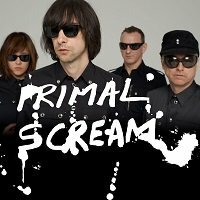 It reveals the fundamental inexperience of Primal Scream as a jam band (at the time, at least). Gillespie’s garbled garbage is annoying and the piano playing, in particular, lacks wit and imagination. A mixed bag.